#RedSox Reintroduce Nathan Eovaldi at Baseball Winter Meetings in Las Vegas. After officially signing a four-year contract with the Boston Red Sox this past Thursday, Nathan Eovaldi was formally reintroduced as a member of the club at the Baseball Winter Meetings in Las Vegas along side Alex Cora and Dave Dombrowski. Although there was no cap or jersey present for photo opportunities like you usually see at these press conferences, there were still plenty of questions to be asked regarding Eovaldi’s decision to remain with Boston and the Red Sox’s pursuit of the right-hander. Acquired from the Tampa Bay Rays on July 25th, Eovaldi posted a 3.33 ERA while recording 48 strikeouts over 54 total innings pitched and 12 appearances (11 starts) with Boston before reaching his first ever postseason. There, the Houston native shined with a 1.61 ERA, a .185 BAA, and the performance of a lifetime in Game Three of the 2018 World Series against the Los Angeles Dodgers. Those six-plus frames of relief from Eovaldi may have ultimately led to Boston’s only loss in this year’s Fall Classic, but it seemingly earned the admiration of Red Sox fans everywhere, and that more than likely played a role in the 28-year-old’s free agency decision. Eovaldi also mentioned how he had offers from other clubs to work out of the bullpen and close games, but he did not see himself taking on that role. The former 11th round pick’s new contract is worth a grand total of $68 million through 2022. He’s had Tommy John surgery twice, and is confident in the Red Sox training staff. A two-time recipient of Tommy John surgery, health and durability will remain to be a prevalent factor in Eovaldi’s tenure with the Red Sox, but he has the backing of the club’s coaching staff. “Four years of Nathan [Eovaldi], that’s going to be great for the organization,” said Alex Cora. 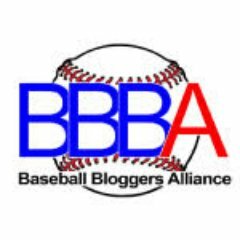 Author Brendan CampbellPosted on December 10, 2018 Categories Baseball, Sports, UncategorizedTags alex cora, Baseball, boston, dave dombrowski, hot stove, las vegas, mlb, nathan eovaldi, offseason, red sox, winter meetingsLeave a comment on #RedSox Reintroduce Nathan Eovaldi at Baseball Winter Meetings in Las Vegas. A Breakdown of Nathan Eovaldi’s New Four-Year Contract with the #RedSox. Nate Eovaldi: $17M 2019, 2020, 2021, 2022. 68M total. As it turns out, the average annual value of Eovaldi’s new contract, $17 million, will actually be how much he earns per season, presumably before taxes. On top of that, Heyman reported that the right-hander would receive signing bonuses of $50,000 for potential All-Star team selections, third place finishes in MVP and Cy Young Award voting, and League Championship Series appearances/MVP selections. Eovaldi would also receive bonuses of $75,000 for finishing as the runner-up in MVP and Cy Young Award voting. And finally, if the Houston native wins himself another World Series or is named MVP or the Cy Young Award winner, he will receive signing bonuses of up to $100,000. Looking ahead to Boston’s 2019 payroll, which will undoubtedly be the most expensive in all of baseball again, it looks like Eovaldi will earn the fourth most on the team behind David Price ($31M), JD Martinez ($23.7M), and Rick Porcello ($21M). Author Brendan CampbellPosted on December 7, 2018 Categories Baseball, Sports, UncategorizedTags Baseball, boston, free agency, hot stove, mlb, nathan eovaldi, offseason, red soxLeave a comment on A Breakdown of Nathan Eovaldi’s New Four-Year Contract with the #RedSox. #RedSox Officialy Sign Nathan Eovaldi to Four-Year, $68 Million Deal. The Boston Red Sox on Thursday evening officially announced that they had signed RHP Nathan Eovaldi to a four-year contract. Per Yahoo Sports’ Jeff Passan, Eovaldi’s deal is worth a grand total of $68 million and keeps him under team control through the 2022 season. The specific details have yet to be released, but that comes out to an AAV of $17 million per year for the next four years. Entering his age 29 season in 2019, the right-hander joined Boston when he was acquired from the Tampa Bay Rays in late July in exchange for left-handed pitching prospect Jalen Beeks. In 12 regular season appearances (11 starts) with the Red Sox, Eovaldi went 3-3 with a 3.33 ERA and 48 strikeouts over 54 innings pitched before reaching his first ever postseason, where the Houston native proceeded to shine to the tune of a 1.61 ERA and .185 BAA over the course of 22.1 frames and six total appearances (two starts) in October. Without a doubt, Eovaldi benefited from those stellar postseason numbers and was rewarded with a nice pay-day from the team that traded for him on Tuesday. Like all hefty contracts, risk is certainly a factor. The ACES client has already had Tommy John surgery twice, once when he was a junior in high school and the second occurrence coming when he was with the New York Yankees in 2016. But, other factors, such as an average four-seam fastball velocity of 97.2 MPH in 2018 and a 1.93 career ERA in 23.1 career innings pitched against the Yankees, more than likely outweigh that risk. Red Sox President of Baseball Operations Dave Dombrowski expressed interest in a reunion with Eovaldi at the premier of the team’s World Series film this past Monday, and less than 72 hours later, a deal is done. Joe Kelly is a key free agent who remains unsigned and the probable departure of Craig Kimbrel leaves the club with another open spot in the bullpen. If someone like Kelly or Zach Britton or David Robertson were to sign with Boston, the team would need to make space on their 40-man roster for that to happen, as the Eovaldi deal pushes the club’s roster size to exactly 40. Winter Meetings start in Las Vegas this coming Sunday, so if nothing happens before then, expect the rumors to start swirling again early next week. For now, I leave you with some Nathan “Nasty Nate” Eovaldi highlights. Welcome back to Boston. Author Brendan CampbellPosted on December 6, 2018 Categories Baseball, Sports, UncategorizedTags Baseball, boston, dave dombrowski, free agency, hot stove, mlb, nathan eovaldi, offseason, red sox1 Comment on #RedSox Officialy Sign Nathan Eovaldi to Four-Year, $68 Million Deal. New York Yankees Reportedly “Shifting Focus” to #RedSox Free Agent Nathan Eovaldi with Patrick Corbin Joining Washington Nationals. This tweet came mere minutes after it was reported that free-agent LHP Patrick Corbin signed a six-year/$140 million deal with the Washington Nationals, thus eliminating New York, who appeared to be the favorites to sign Corbin, from the sweepstakes. Despite already re-signing veteran lefty CC Sabathia and acquiring another southpaw in the form of James Paxton from the Seattle Mariners, it still appears as though Yankees General Manager Brian Cashman is doing everything in his power to shore up his starting rotation. With Corbin, 29, off the table now, it only makes sense that a club in need of pitching would turn its attention to another attractive option, and when taking age and recency into account, that would be none other than RHP Nathan Eovaldi. Eovaldi, 28, spent two seasons with New York from 2015 to 2016, where he posted a 4.45 ERA and 1.39 WHIP over 51 appearances (48 starts) and 279 total innings pitched before being released in November of 2016. A two-time recipient of Tommy John Surgery, Eovaldi signed a one-year deal that included a player option with the Tampa Bay Rays prior to the start of the 2017 season. A deal that ultimately ended with the Texas native in a Red Sox uniform and a World Series champion in 2018. Now, thanks to his stellar first ever postseason in a contract year, Eovaldi is set for a huge pay-day this winter. It has been reported that the right-hander would like to return to Boston, and that feeling is mutual, according to President of Baseball Operations Dave Dombrowski, who spoke with media on Monday night at the premiere of the Red Sox World Series documentary. Late last week, the Houston Astros, a team the Red Sox defeated on their way to that World Series title, were seen as a club heavily interested in acquiring the services of Eovaldi, and now the New York Yankees have joined in as well. There are more than likely other clubs in the mix as well, meaning the Red Sox will really have to make a legitimate offer to retain Eovaldi’s services. It’s a tough spot to be in, but Eovaldi has already proven what he can do on the biggest stage in the biggest market. Unless Dombrowski feels confident in other options out in the trade or free agency market, Eovaldi should be the way to go. Pay the man his money and shore up one of the best rotations in the American League. Author Brendan CampbellPosted on December 4, 2018 Categories Baseball, Sports, UncategorizedTags Baseball, boston, free agency, hot stove, mlb, nathan eovaldi, new york, offseason, red sox, yankeesLeave a comment on New York Yankees Reportedly “Shifting Focus” to #RedSox Free Agent Nathan Eovaldi with Patrick Corbin Joining Washington Nationals. Nine Teams, Including the #RedSox, Are Reportedly Interested in Free Agent RHP Nathan Eovaldi. On Sunday, The Boston Globe’s Nick Cafardo reported that up to eight teams not named the Boston Red Sox are interested in acquiring the services of free agent RHP Nathan Eovaldi. Given that Eovaldi will only be 29 next season and no compensatory draft pick will have to be given up to sign him, it makes sense that the right-hander has a high volume of suitors this early in the offseason. Out of the clubs listed above, I would venture to say that about five are intending to contend for a World Series title in 2019. 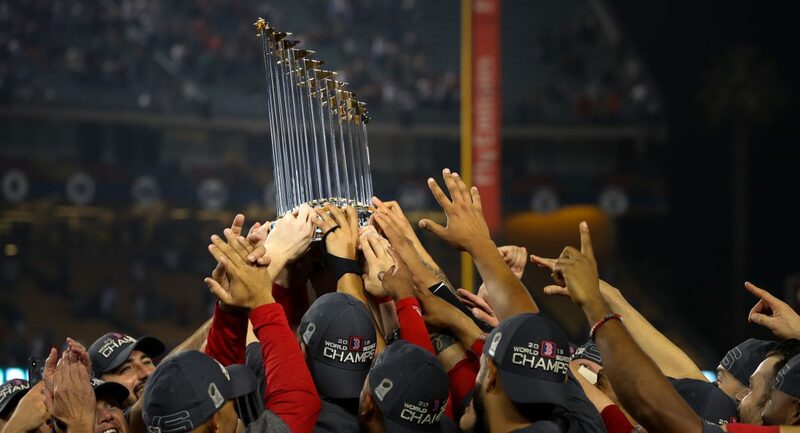 The Brewers, Braves, and defending champion Red Sox are all coming off postseason appearances this October, while teams like the Phillies and Angels may have come up short this year, but have the resources to bounce back in 2019. On the other side of this spectrum, the White Sox, Blue Jays, Padres, and Giants all finished with losing records this past season, but seem keen on at least making things interesting next year. Take for instance the reports that the White Sox appear to be in on a number of big-money free agents this winter, such as Bryce Harper and Manny Machado, or the reports that the Padres have been interesting in adding a high-end starter, such as Noah Syndergaard, for some time now. As for the Blue Jays and Giants, well, neither club seems to be in the best position to compete in 2019, but both were in the postseason as recently as 2016, so there’s that. In terms of what the Red Sox should do, that depends on how much they truly value Eovaldi. Like Cafardo reports above, the Texas native has made it clear that he would like to remain in a Red Sox uniform for the forseeable future, but that will obviously come at a decently hefty price. There are other starting pitching options, internal and on the free agency market, but Eovaldi has already proven that he can do what others can’t, pitch on the biggest stage in the biggest market with the spotlight on him. A 1.61 postseason ERA is quite evident of that. If retaining Eovaldi equates to moving on from free agent reliever Joe Kelly, then I believe that is a move Dave Dombrowksi has to be willing to make in order to round out what should be one of the best starting rotations in the American League. Author Brendan CampbellPosted on November 18, 2018 Categories Baseball, Sports, UncategorizedTags Baseball, boston, free agency, mlb, nathan eovaldi, offseason, red soxLeave a comment on Nine Teams, Including the #RedSox, Are Reportedly Interested in Free Agent RHP Nathan Eovaldi. How Much Money Will Nathan Eovaldi Make This Winter? When the Red Sox acquired the services of Nathan Eovaldi from the Tampa Bay Rays on July 25th, it was not all that clear what they were getting. Many expected President of Baseball Ops Dave Dombrowksi to pursue a frontline reliever, such as Zach Britton or even Brad Hand, to stabilize his club’s then shaky bullpen, but that was not the case, or was it? Over a two-month span with Boston, Eovaldi posted a 3.33 ERA and .266 BAA in 12 games (11 starts) and exactly 54 innings pitched. There were some ups and downs mixed in with some dominant outings, but the right-hander provided the Red Sox with a high velocity arm capable of getting big outs, and that’s what he did in the postseason. Making his first career appearance on a playoff roster, Eovaldi went on to be a crucial piece of the puzzle for Boston, both as a starter and reliever. In the six October contests he appeared in, the Red Sox went 5-1, with that one loss coming in that 18 inning loss to the Los Angeles Dodgers in Game Three of the World Series, a game where the Houston native tossed six-plus innings of one-run baseball on just one day of rest. He would not appear in a game for the remainder of the series, but that effort alone appeared to have inspired the team to bounce back the way they did following that ugly loss en route to a World Series title. Behind Steve Pearce and David Price, I would go ahead and say Eovaldi finished third in World Series MVP voting. So now, the ex-Ray is set to hit free agency for the second time in his career. With a base salary of around $2 million this season, Eovaldi will no doubt be highly sought out after being a bargain this year. With that in mind, I thought I would pose the following question: How much money should the Red Sox pay Nathan Eovaldi? After the heroic month of October he had, I don’t believe I would be the first to say that the Red Sox need to do anything possible to retain his services. Eovaldi is 28, has had two Tommy John surgeries, and has one of the more electric and durable fastballs in baseball. Drew Pomeranz is also set to hit free agency, so ignoring the price for a second, Eovaldi would be able to fill in that spot if he were to stay. We could be looking at a 2019 starting rotation, that, when healthy, consists of Chris Sale, David Price, Rick Porcello. Eduardo Rodriguez, and then Eovaldi. That is pretty good, but it would also be pretty expensive. Last winter, the two highest contracts awarded to starting pitchers were Yu Darvish’s six-year/$126 million deal with the Chicago Cubs and Jake Arrieta’s three-year/$75 million deal with the Philadelphia Phillies. Both of those AAV’s come out to $21+ million per season and both Darvish and Arrieta were respectively 31 and 32 when those contracts were signed. They were also both regarded as aces when with the Texas Rangers and Chicago Cubs, while Eovaldi has never been given that role in his seven-year career. So, to cut to the chase, given what he did in the postseason and specifically against the New York Yankees, I would predict the Red Sox and Eovaldi agree to a four-year deal somewhere in the $70-$75 million range. Author Brendan CampbellPosted on October 31, 2018 October 31, 2018 Categories Baseball, Sports, UncategorizedTags Baseball, boston, dave dombrowski, dodgers, los angeles, mlb, nathan eovaldi, red sox, world seriesLeave a comment on How Much Money Will Nathan Eovaldi Make This Winter? Nathan Eovaldi Is a Psychopath. After throwing 97 pitches in relief of Friday night’s 3-2 loss to the Los Angeles Dodgers, Red Sox right-hander Nathan Eovaldi is apparently ready to head back out the mound in Game Four of the World Series Saturday. Alex Cora: "I saw (Nate Eovaldi) this morning and he was telling people he's ready to go. I'm like, 'Your agent is going to kill me.'" Despite being hit with the losing decision, Eovaldi was certainly not to blame for what went down yesterday, as he put up six-plus innings of quality relief work on just one day’s rest. This postseason, the former Dodgers prospect has posted a 1.61 ERA and .185 BAA over six outings (two starts) and 22.1 innings pitched in the first October action of his career. Because of these efforts, not only has Eovaldi become a bit of a hero in Boston, he’s also upped his value big time as he heads into free agency this winter. If this World Series ends with the Red Sox coming out on top, I would have to guess Eovaldi is the frontrunner for series MVP. We’ll have to wait and see on that. Author Brendan CampbellPosted on October 27, 2018 Categories Baseball, Sports, UncategorizedTags Baseball, boston, dodgers, los angeles, mlb, nathan eovaldi, red sox, world seriesLeave a comment on Nathan Eovaldi Is a Psychopath.